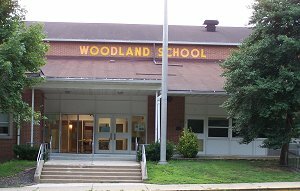 Starting this fall, Woodland School will be “No Place for Hate,” Superintendent Anthony Arcodia told the Barrington Board of Education at Monday’s meeting. The program, sponsored by the Anti-Defamation League, “enables schools and communities to challenge anti-Semitism, racism, hatred, and bigotry in all forms,” according to the Philadelphia region No Place for Hate website. “By providing a model for responding to and preventing acts of hatred, No Place for Hate is an innovative and powerful method for reducing bias and bullying, increasing appreciation for diversity and building communities of respect,” the site says. — A committee or ‘diversity club’ will be created to oversee anti-bias activities in the school. — A signing of the “Resolution of Respect” will be held. — The school can then officially be declared a “No Place for Hate” school in a ceremony in which it will be given a banner to commemorate the effort. More window dressing. Thanks Tony. Not trying to promote hatred, but I would rather our educators concentrate their lessons on english, math, science and social studies instead of food allergies, bullying and hatred. Shouldn’t the parents be teaching these at home! @a frustrated parent – it is obvious that parents are teaching those things at home – isn’t it! 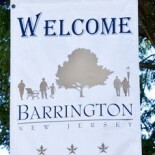 This entry was posted on July 11, 2012 by Barrington Bulletin in Safety, Schools and tagged bias, board of education, bullying, school board, woodland.